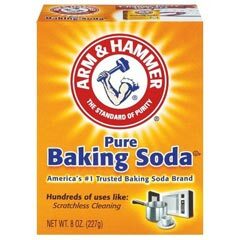 Baking soda (sodium bicarbonate) has been around for ages and there are countless home remedies that baking soda seems to cure. But can baking soda be an angular cheilitis cure Learn how to cure angular cheilitis.? Unfortunately, none of the medicinal uses of baking soda help with bacterial and/or fungal infections related to angular cheilitis. This means the only positive benefit that baking soda may have for people suffering from angular cheilitis is that it may relieve some of the pain. Angular Cheilitis Carmex Will Carmex lip balm/chapstick help treat angular cheilitis? Find out.